I grew up thinking the world was anything I wanted it to be. That is, until I entered middle school and high school. Then things started to happen. I remember certain experiences so vividly, as if they happened just yesterday. Sitting on the bench in the gym eating lunch and having my snack snatched from right under my nose and the teacher I was talking to looking the other way. I always thought I was a normal kid. I had friends. Devoted friends. Friends whom I knew cared about me, who liked me. We had things in common. Some of them were picked on, too. 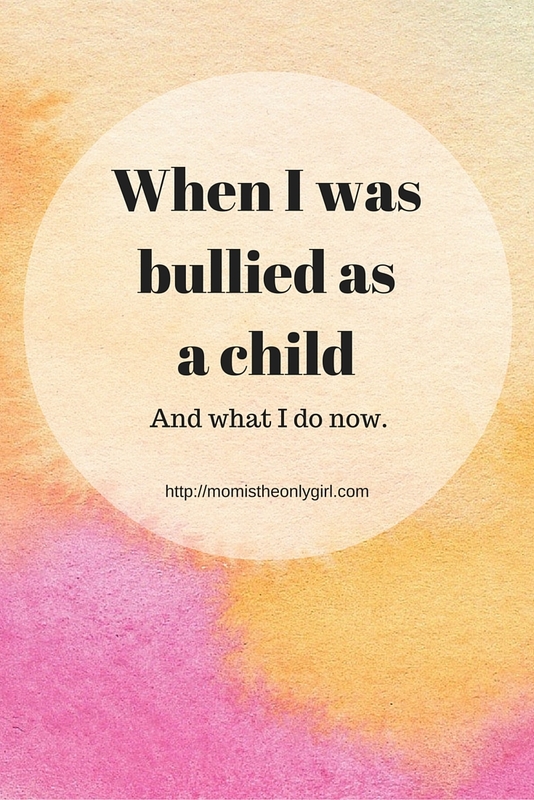 Being bullied became part of normal life for me. Talking and laughing with my friends while walking into school when I was pushed from behind so hard that I fell to my knees. Friends who would walk with me between each class, because they liked the real me. Friends who would ask me to do things with them outside of school hours. Walking alone through the hallway hearing snickering and laughter from a doorway, but not being able to see faces. Friends who, as time went on, would stand up for me. Talk back to the bullies picking on me. Friends who tried to protect me while walking between classes by walking on either side of me or all of us in a group. Some of them were being picked on too, so traveling in a group became safe. Trying to sing in choir class while my chair was being kicked violently from behind. Friends who laughed with me. Friends who encouraged me. Friends who gave sound advice. Friends who weren’t afraid to be seen with me, as obviously to some I was unfit to be where I was at any given time. Having my locker slammed shut on my hand while trying to retrieve my books. Being laughed at when I screamed in pain. Now in school they teach kids to Walk, Talk, and Tell. I did walk away…and got pushed from behind. I did try to talk to the bullies and talk to the bullies’ friends who were being friendly with me, but it made things worse. I did tell teachers, but nothing improved, rather, things got worse. The bullying began to happen at times teachers weren’t around or in ways teachers wouldn’t see. Life at school and life up on ‘the hill’ were two completely different worlds for me. One world full of bullies, limits, external pressures my parents could not comprehend. As I sit writing I wonder if they had any inkling just how bad the bullying was. How it would stick with me until even now, years and years later. Another, a world full of adventure, uninhibited freedom to be whomever I wanted to be, at the encouragement of my parents. No boundaries. Not even the rock fence bordering our property could keep me in. I wish I could say things changed when that wonderful choral teacher pulled the bully out of class when he could no longer ignore my being flung forward in my chair as it was kicked from behind. I hadn’t spoken up or moved at the time, because until that point when I shared with anyone what was happening the bullies always knew, and they had a way of making me feel even worse about myself in the most sneaky of ways. I was already feeling pretty low on the totem-pole and in my mind doing something would just make it worse. I sat and took it. The choral teacher’s actions that year in high school did shed a light on what was going on, and he handled it the best of any of the teachers who knew what was happening. He validated my feelings, both the good, and inadvertently, the bad. However, the bullying didn’t stop. It just changed. It left a mark on me, created memories I have yet to block away. And the bullying returned when he retired at the end of that year. I sit here wondering what my children truly experience at school. Does the child they sit next to secretly tell them what to do and what not to do like one ‘friend’ in grade school who was really manipulating and bullying me? Are they given glares when they do something that isn’t what another child wants? Are they secretly bullied, in a way that their teacher doesn’t see, and so feel they cannot let me in on their feelings for fear of not being believed? Are the bullies actually being bullied into being bullies, by the likes of hanging around other kids with behaviors like that? The past is never as relevant as we think it is. I agree as far as how bullying affects me as an adult today. My bullying experience is definitely in the past. I can choose to not take it personally when another mom’s eyes meet with mine and she turns away, never starting a conversation or moving closer on the playground so we might talk. I can shut out the feeling of dread when a person looking ‘just so’ walks towards me, then walks right by without even a hello. The past bullying is not relevant to me now in that regard. However, it did have a lot to do with who I am as a person now. But my past is definitely my past. It is only relevant in how I have let it influence how I look at and interact with others. It no longer identifies me, even though it influences how I have come to act. It is no longer relevant in the same hurting way. It’s so easy to ask surface questions and believe everyone is fine, being treated fine and has no problems with anyone else. As a parent who was bullied as a child, it is important to me to ask the deeper questions and pray my relationship with my child and my child’s heart will be open for them to share their feelings with me. Bullying has a new face for our children than it did for me. I for one, want to keep my eyes open watching for it while I pray it isn’t happening. What do you do to protect your child from bullies, for them to feel safe in who they are?